The OTT platform will release six original shows under the MX Original vertical. Times Internet invested more than Rs 1,000 crore to acquire majority stake in South Korea headquartered MX Player. One of the largest local video player in the world, MX Player in 2018 (while getting acquired) had over 500 million downloads of which 350 million were in India (as per reports). 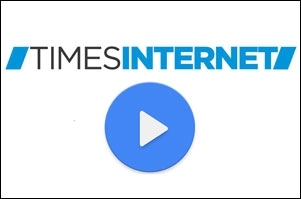 On February 20, 2019, Times Internet is going to launch the new avatar of MX Player. The Bennett and Coleman group's digital arm will also introduce MX Original - the umbrella under which it will create its original shows. 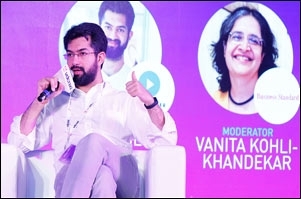 Last month while speaking at vdonxt asia, Karan Bedi, CEO, MX Player said, "We knew this is an app that 100s of millions of people use to watch video. It just so happens that currently, the video they're watching is sourced on their phones... the thought was: 'Can we use this app, this platform, to serve up entertainment to them, that isn't necessarily from their phone but from a server in the sky?." Adding, "The player has a ready base of well over 175 million people. We are slowly converting those users to streaming users." He informed that the team has scaled from 15 to over 200 people since the acquisition, about a year and a half ago. "The team has been busy building an entire streaming business around what is essentially a video player; it will continue to invest in the player capabilities of this product," Bedi added. While describing the MX Players' existing pool of consumers Bedi said, they are a cross-section of the Indian internet audience with a 55:45 tier II, III to tier I ratio. He was upbeat about the platform's penetration in non-urban India and he believes that is MX Player's competitive strength. Why did Times Internet pay Rs 1,000 crore for MX Player?